2018 marks the 70th anniversary of the Universal Declaration of Human Rights. But in this milestone year, human rights violations are part of major humanitarian and political crises. At the same time, international scrutiny over human rights issues, carried out via multilateral human rights mechanisms, has never been stronger. And the breadth and depth of the international human rights system’s focus has been expanding to address topics and communities which have not always received the attention they deserved: from gender-based violence and LGBTI rights, to the human rights of refugees and migrants, as well as challenges to human rights posed by the digital age and by climate change. Finally, we have a universal roadmap for development, the 2030 Agenda for Sustainable Development, which is premised on a foundation of human rights. Human rights are an integral part of the 2030 Agenda and of every one of its 17 Sustainable Development Goals. This is why implementing the SDGs requires institutional reform at the international and national levels, to truly mainstream human rights. Participants will form working groups to study issues related to the various dimensions of this theme, under the guidance of United Nations experts. They will be provided with selected documents and publications on the theme under discussion. The majority of the sessions will be held in English, therefore absolute fluency in English is essential. As several sessions will be held in French, solid working knowledge of French is also required. The students invited to attend this programme will be selected on the basis of their academic experience and motivation, with due regard to equitable geographical and gender distribution. The age limit for application is 32 years of age. Students interested in the 2018 Graduate Study Programme must submit their application ONLINE until 2 March 2018. No applications will be accepted after this date. The application form is to be filled in on our website, accompanied by a copy of the applicant’s passport, a letter of recommendation (in English or French only) from a university or governmental authority, proof of current enrolment (at the time of application) in a Master’s degree programme or a postgraduate degree programme (or equivalent) and university diplomas obtained. Please note that incomplete applications will not be taken into consideration. Once selected, successful candidates will be asked ahead of time to provide a medical certificate attesting good health and proof of medical insurance coverage in Switzerland at the time of the GSP (these two documents will be only be accepted by us in English or French). Applications from those already employed full time professionally cannot be considered. Candidates will be notified of the selection committee’s decision by mid-April 2018. Participation in the programme is free. 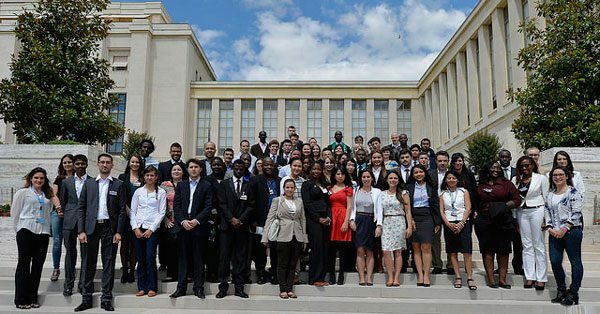 The United Nations does not make any financial contribution towards the travel costs and residential expenses of participants. Governments or universities may offer grants to selected candidates. Candidates should seek advice from their universities on this point. Next articleRegister Now to Attend the 2018 Google Women Techmaker Event in Nairobi, Kenya.